1. Why are you updating the book already? 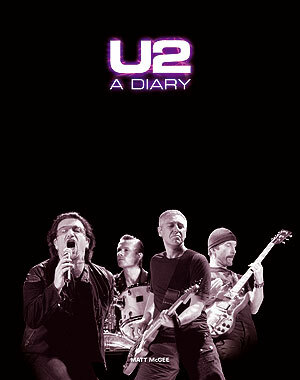 The first edition of U2 – A Diary covered U2’s history up to the end of 2007. Since then, a lot has happened. The band has been very active with another album (No Line On The Horizon), a world tour (U2 360), a serious injury to Bono that caused a major postponement of part of the tour, a Broadway musical (Spider-Man – Turn Off The Dark), along with all the other non-musical things that the band is involved in. In addition, the publisher (Omnibus Press) wants to update the book while it’s still in print. I’m not too familiar with how that part of publishing works, but it’s apparently easier to update the book and print a new edition now (while the original is still in print) than to let it go out of print now and update it at some unknown date in the future. 2. Will you be updating the book every three years? I don’t think so. The second edition of the book will probably not sell as quickly as the first did, so it should remain in print for much longer. If there’s a third edition of the book, I wouldn’t anticipate it happening for many years. 3. When will the second edition be published? I don’t have an exact date, but we’re targeting mid-2011. 4. Why bother writing a book about U2 history when they already put out their own official history book? I bought U2 by U2 as soon as it was published, and I think it’s a terrific book. But ultimately, that book is U2’s own version of events. There are many events and stories that were either left out completely, or not told as thoroughly as I believe they could have been told. The band might not feel these stories and events are important, but U2 fans do. I believe U2 – A Diary fits very comfortably on your bookshelf as a complement to U2 by U2 and the other terrific U2 books that have been written.